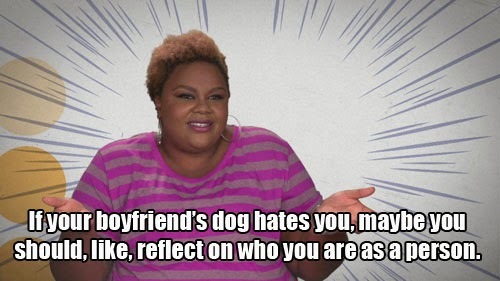 Tell us about your current relationship with your hair? I'm just loving it. With each passing year, I become more and more appreciative of the uniqueness and versatility of my bush. A few months ago, I started finger combing my hair... I notice it sheds a lot less than when I use a comb. Although, I remain open to trying new products, I pretty much have it down to a science- what works and what doesn't work for my hair. I like to keep my routine fairly simple because there's nothing more frustrating than taking six hours to do your hair and ending up too exhausted to do anything else but nap! Every ten days, I put my hair in four large plaits then one plait at a time, I no poo with Aubrey's Honeysuckle conditioner, spray on some Revitalizing Leave-In Conditioner by Jane Carter Solutions, then I drench my hair in a mixture of coconut & avocado oil, and seal it with Shea Butter. Every month to six weeks, I do an Apple Cider Vinegar Shampoo by Morrocco Method Int'l to clarify my hair and rid it of product build up. 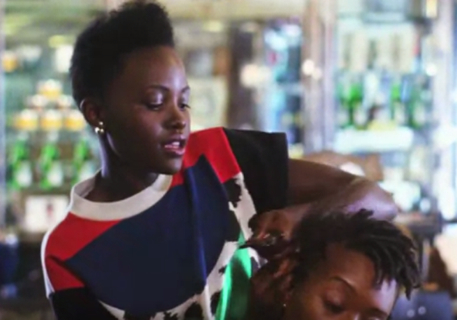 I received an email from a Vogue editor this morning about an amazing short video starring Oscar Award Winner, Lupita Nyong'o, and I just had to share with y'all! 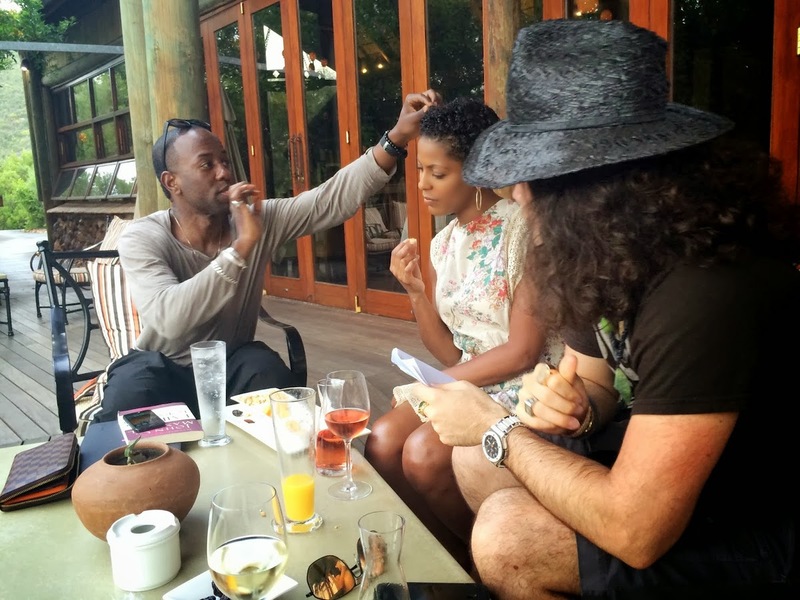 So how 'bout, Lupita loves braiding hair! She learned to braid, twist and create bantu knots from an aunt in Kenya after being disappointed by the local braiding situation in NYC back in undergrad. Watch as she braids her girlfriends' hair and chats about how it almost became a side hustle! For my first interview with Karyn, click here. For pics of Karyn and I at a CN event in NYC, click here! Tell us about the hair situation. Updates! I'm definitely far more educated, though that doesn't always translate into practice. I'm on the run so much it seems, that I don't have the time that I dream about to take my time deep-conditioning every other day for an hour at a time, or twisting every night. When I do these things, I'm instantly gratified. I always see a difference. Still, I've learned about sealing in moisture and have been doing that more, as well as using coconut oil on my hair, which it loves. I still hit the blowdryer (diffuser) too much, and too HOT :(. Rushing too much. Once I leave the city for a few weeks (soon!) with my family and don't have to worry so much about meetings, I'll be pampering my hair and hopefully, making some good habits. After last weeks' post, I caught up with MTV's Nicole Byer to chat about her hair story and advice for women thinking of making the transition. She is just as sweet and HILARIOUS as she is on TV. Enjoy! CN: How long have you been natural? NB: I've been natural on and off since 2008 and have Big Chopped 4 times. Well, wait, what is the definition of a Big Chop? For some reason there's a lot of debate in the space about that. But in my opinion, it's when you chop off a significant amount of hair, relaxed or not. So yeah, I Big Chopped 4 times. I had a natural mohawk with shaved sides for a while and then wore the Rihanna style by adding weave to the middle. After I got tired of that, I shaved off the middle. When that grew out a little, I bleached my natural hair 4 times in one night because I wanted it white. Ruin. My hair fell out and I big chopped again. Now it's natural but I only wear it out in the summer when it's hot. During the year I keep it in a protective style- wigs or weaves. I wear lace front closures (sewn in) with my hair braided down underneath. Bre Scullark- "My Hair Is Not a Trend." Before it was trendy, before it became this “new phenomenon” it was and still is, who I am. My natural hair is so much more than a breakthrough in chemically processed and damaged hair. My natural hair is so much more than just a liberating experience from the monotony of long body wave weaves and sleek flat ironed hair. 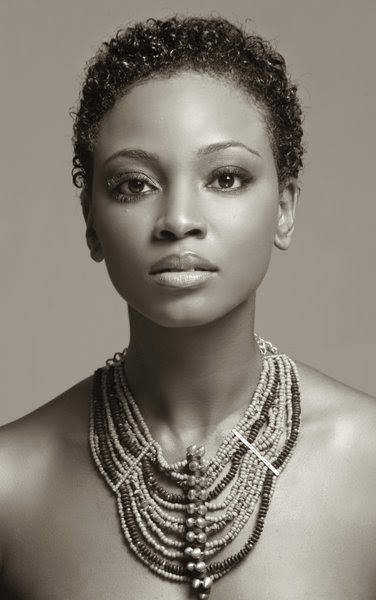 My natural hair is a composition of my life’s journey on redefining the value of spiritual beauty. 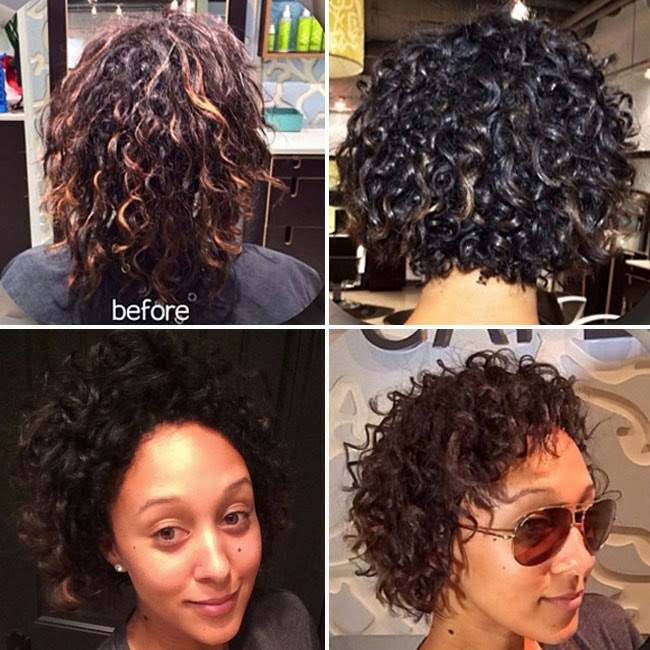 Tamera Mowry-Housley Big Chopped! 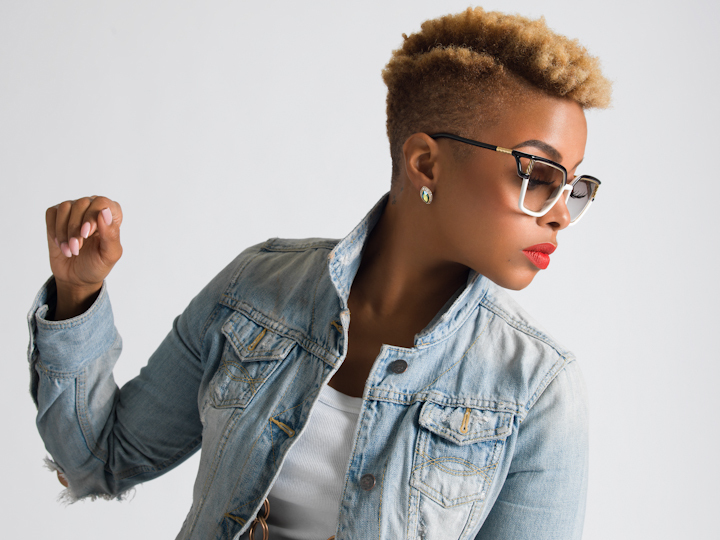 Her Stylist Gives Big Chop Advice! Tamera Mowry-Housley has a lot of change happening in her life right now. The end of her reality show with her sister Tia, her new talkshow The Real, and now, a new 'do! Just last week she was pledging her love to her long, wavy locks, but the other night we knew something was afoot when she tweeted a picture of her hair on the floor, "This is happening right now. Thanks @ShaiAmiel for my beautiful cut. Can't wait to show y'all pic.twitter.com/IZk0dIt3x8." After my interview with her yesterday, Sheryl Underwood issued a heartfelt, on-air apology to the Steve Harvey Morning Show. Listen in after the jump. Yesterday I received a massive amount of messages regarding statements made by comedian and Talk Show Host, Sheryl Underwood. 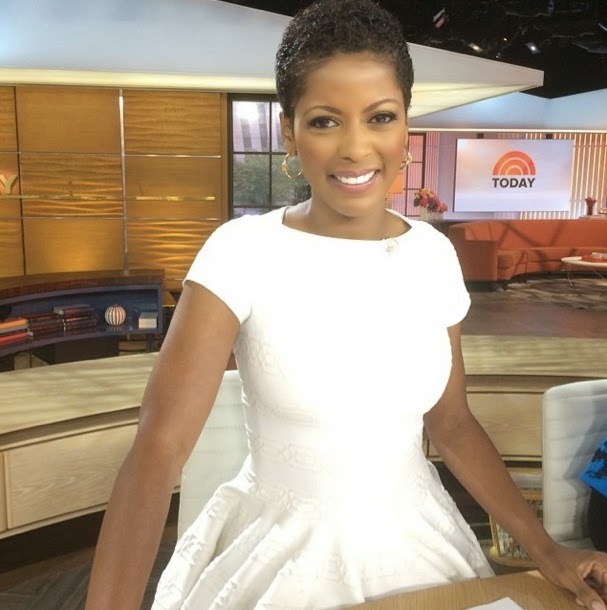 Several of you, up in arms, forwarded me the synopsis from TheRoot, requesting that I start a petition, write into CBS or just publicly share an outrage over the comments she made on her show, ‘The Talk.” After reading through the transcript and watching the video myself, my initial thoughts were that A.) Yes, she’s a comedian and afforded some manner of freedom to entertain and provoke people but more importantly B.) What was said marginalized a large group of women (on a national stage) and in my opinion, spoke to what I feel is a deeper issue, one that the ladies of CurlyNikki.com are not at all unfamiliar with. Keshia Knight Pulliam, aka Rudy Huxtable of the groundbreaking sitcom 'The Cosby Show', is On The Couch! Save for the poofy twists and braids she rocked in the ‘80s, I’ve only seen her in straight styles, and naturally assumed she was relaxed. She dished on her favorite products, her straightening routine, and how she came to embrace her curls. CN: Word on the street is that you're natural. Is this true? KNP: I am natural and have been my entire life, except for a short time in college, when I experimented with a perm. I have always had lots of long, thick hair. 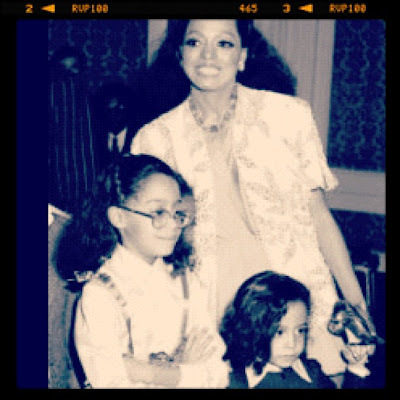 Everyone remembers me from 'The Cosby Show', with my big, puffy braids. Sometimes I look back and think, "y’all did me so dirty…you didn’t even blow dry my hair right… just slapped it back!" [Laughter] It was funny because I had never embraced the fact that my hair was very, very curly. Whenever they’d style it on set, they’d brush through it and pull it back. And every one knows if your goal is to keep your curls, you never ever brush or comb through them! Frizz city. That’s why my hair was always so big. It was like a whole new world for me the first time I got my hair really straight. I think I was 13 years old and had never been introduced to the pressing comb. I loved it. At that time, I didn’t like wearing my hair curly. I grew up in the ‘80s when the Jheri Curl was king. So I would get teased a lot because my hair was ringlety curly and really dark, jet black. Even now, on 'The House of Payne', Lance will tease me when I’m washing my hair, saying, ‘uh oh, Jheri Curl in full effect!’ So I had this whole complex around that, and never wanted to wear my naturally curly texture. But as I got older and went to college, things changed. There is nothing like that Atlanta heat! My freshmen year at Spelman, I lived in Apex and we didn’t have any AC. I would straighten my hair and wake up the next morning to a sweated out mess. 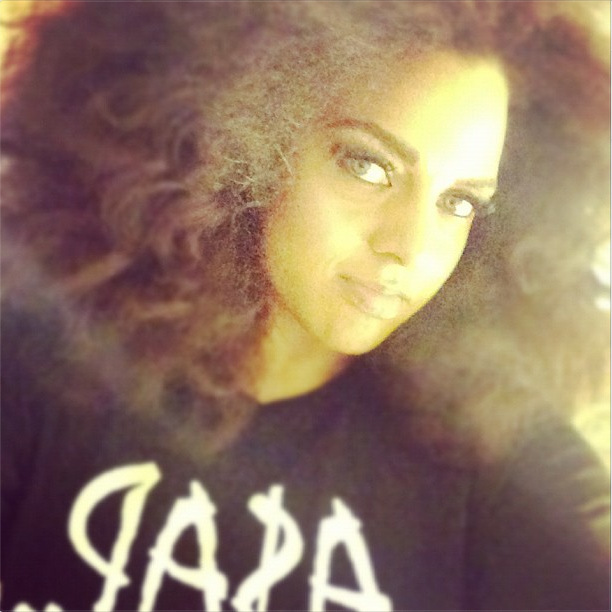 Her name is Marsha Ambrosius and she does what she WANTS to do. Or at least that’s what she says on Twitter. The R&B songbird stormed the music scene in 2000 as one half of the soul duo Floetry and made us love her even more across many “Late Nights & Early Mornings” with her 2011 solo debut. Bottom line. Marsha does things her way, and we can’t help but dig it. 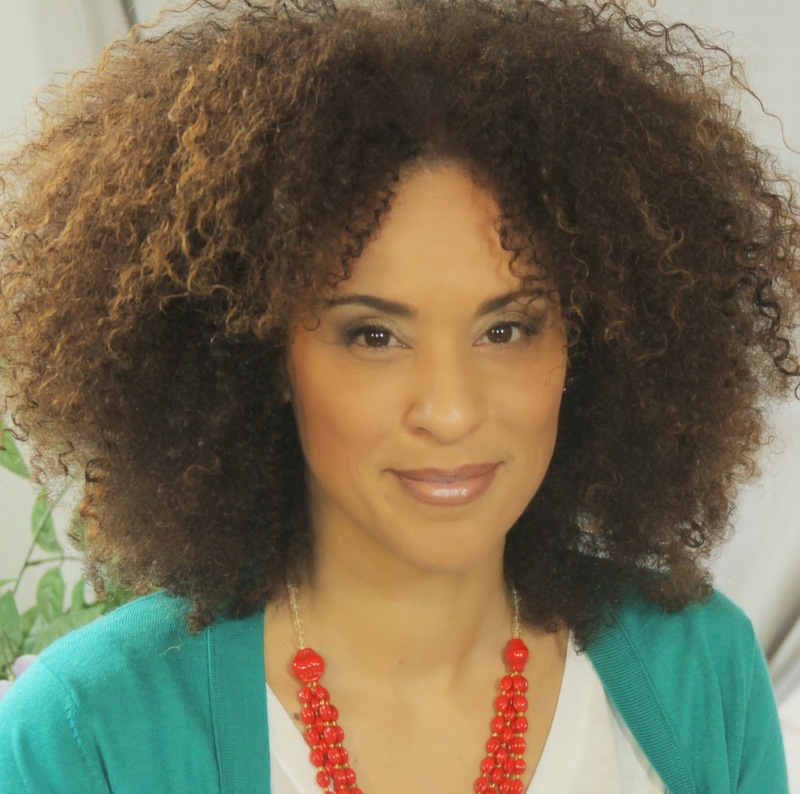 From braids to curls and freeform fros, she makes it clear, natural hair is no exception. SG: What was your natural hair experience like growing up? Were you always natural? MA: I embraced my fro from the day I can remember, really. That stems from a long line of women who did exactly the same. My mother had the mean even fro. I don’t even know how they did that back then! It was perfect. I don’t think they make afro picks like they used to. It was special. It was something that made an afro absolutely perfect in circumference. I used to think my mother was a superhero, and I figured it was her hair. [laughs] I know it's weird. But now that you ask me, I guess, that’s why I’ve always embraced it... it was whether I wanted to wear it in two afro puffs or an afro puff to the left or to the right. I’ve just always been that kid. Yeah. But, I’ve clearly been through the motions. As adolescents everyone is getting straight hair so I wanted a relaxer. Soon as I didn’t want one anymore, I cut all of my relaxer off and coiled it up with only about half an inch of hair. But I was unafraid to do so because I’ve never been emotionally attached to hair. Only my fro made me feel like that. Any other hairstyle was just a fade or a phase I was going through. But I’ve always been okay to embrace my own hair. Many women can’t say that. That’s kind of rare because a lot of girls grow up with the idea that a relaxer is the way to go--the only option. So, that’s cool. Right, and [my experience] was the complete opposite. I’m not saying a fro was the only option, but the fro was the cool thing. When I grew up, I grew up looking up to my parents. 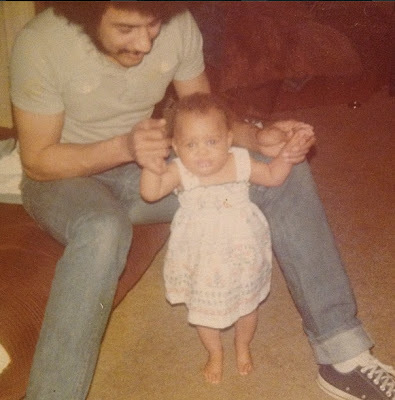 My dad had a mean fro. My mother had the mean fro. So, I was like, I wanna be like them. Congrats!!! 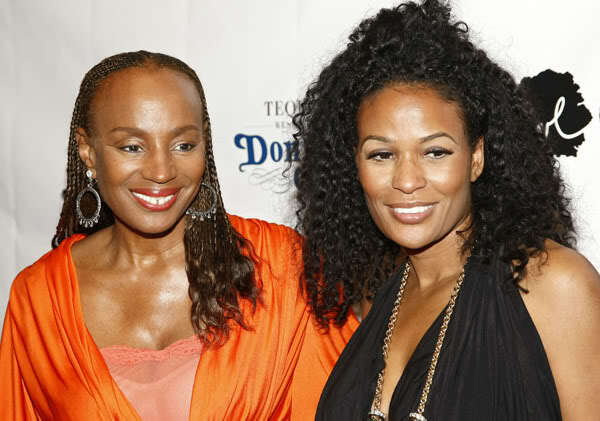 Say hi to Jada and Angela for me! Hola chicas! Yesterday I had the rare opportunity and honor to speak with the talented and brilliant actor/director, Jada Pinkett Smith. This entertainment legend, who I assume rocks an 'S' on her chest beneath her ultra chic attire, is using her influence to manifest projects that "bring balance" to our community. Please read on to learn more about her latest endeavor and then go forth and support the hell out of it! ‘Free Angela and All Political Prisoners’ is specifically about Angela Davis, who I think is one of the most fascinating women of our era. I think the aspect of this documentary that really fascinates me, is that I thought I knew the Angela Davis story and I did not. There were a lot of shocking pieces about who she is as a woman and pieces about her trial and the movement itself that I was unaware of. The documentary actually came to me completed- it needed more money, a place to live… it needed distribution, which is why I came on board. When we finally got it done, I was thinking to myself that this is a story that needs to be told. A story that is a really fascinating piece of American History and oftentimes, unfortunately, these stories are only put in the niche of African American History, or Black History, but this is actually American History. It just happens to be centered around the civil rights movement. For me, I just felt like this was a really compelling part of our American History that needed to be told, that an African American woman is the center of, who happens to be the amazing Angela Davis! After the theatrical release, which is rather extensive for a documentary, we’re hoping to make the documentary available to schools so that it may be shared in classrooms. Tracee Ellis Ross Has 'Better Than Good Hair'! 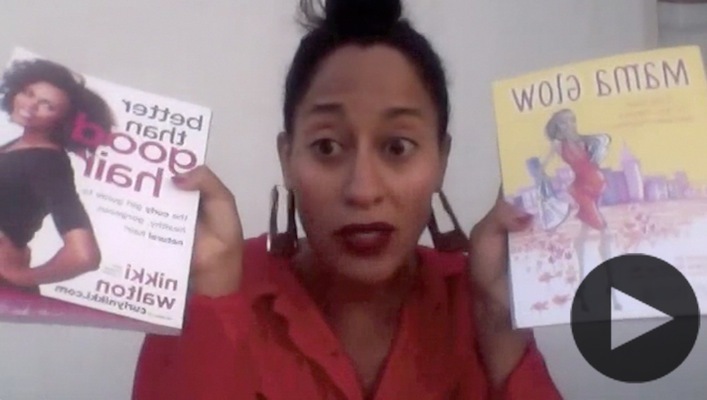 So Tracee, aka 'The Homie', bka Miss 'It On a Stick' is #TeamEdges! 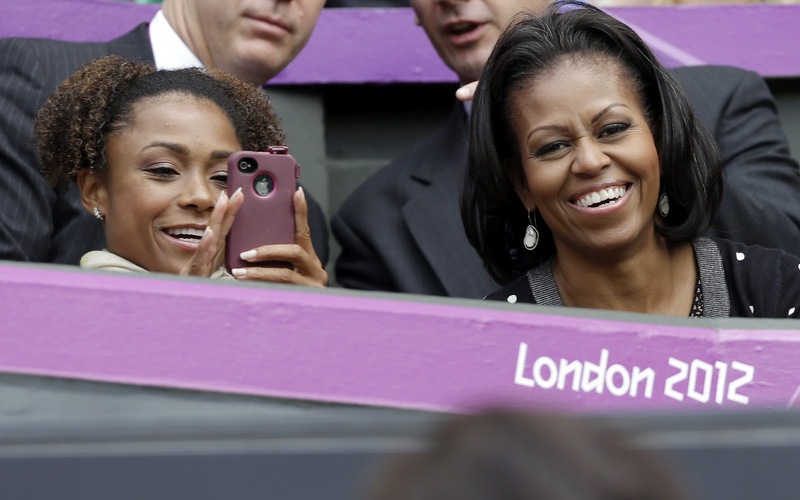 Michelle popped in and saw your comments and took to twitter to set the record straight. Her interview with Angela was more about empowerment and catching us up on her successful career... but of course y'all wanted the hair deets, so here ya go! 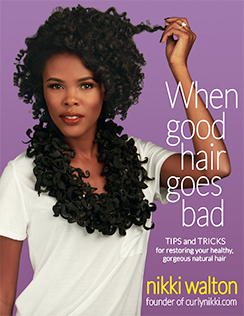 "Some of the readers were disappointed that I didn't discuss my hair routine! On my episode of Styled By June...all of that was my real hair....we shampooed, blow-dried and added clip in pieces for the makeover look. When I'm not working I like to shampoo and air dry my hair and go. OR I diffuse my hair and take a small barrel iron to define unruly curls. I like Mixed Chicks products and I also love Moroccan Oil line of products. They have amazing curl creams. I've been relaxer free for about 11 years now. 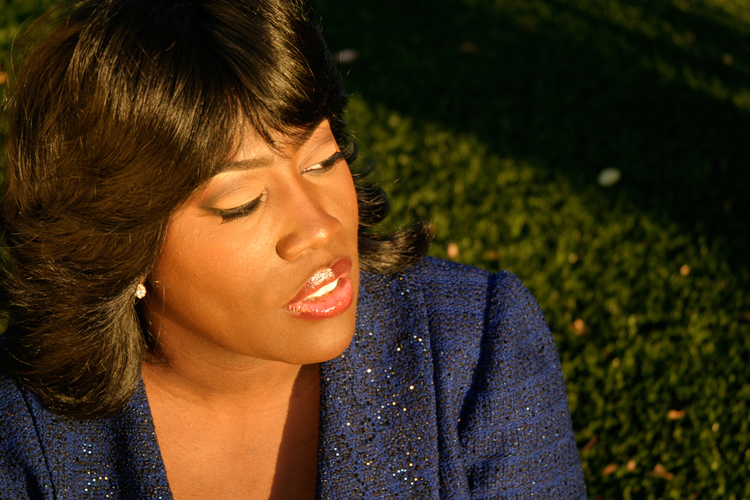 First it was a transition....then in 2008 I cut my hair short when I released my new album! My hair was always long. Without weave it was down to the middle of my back. Where the bra band sits!" Michelle in December 2011 with her own hair.....growing it out! 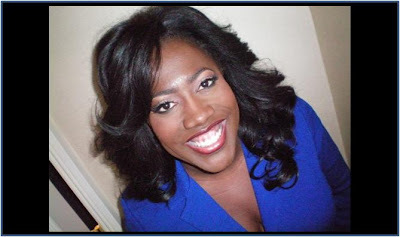 Her hair was shampooed, diffused and curls defined w/ a small barrel iron. 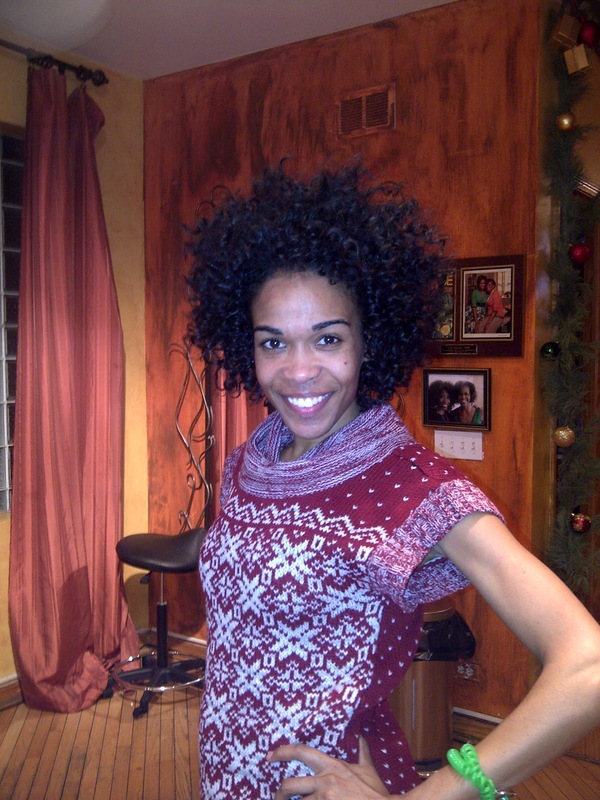 "Nikki Mangrum of Freedom Salon in Chicago does my hair. She's great!" 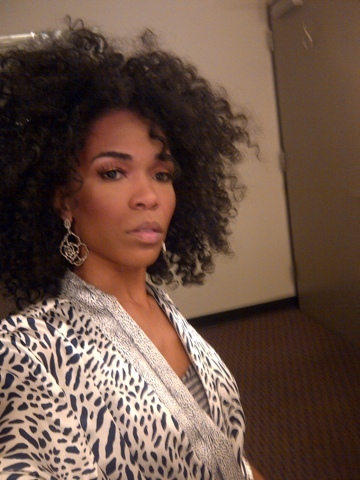 "My natural hair out with pieces added for a more full dramatic effect! I love Diana Ross so this is my Diana Ross look..."
Yesterday I had the pleasure of catching up with BLACK GIRLS ROCK! 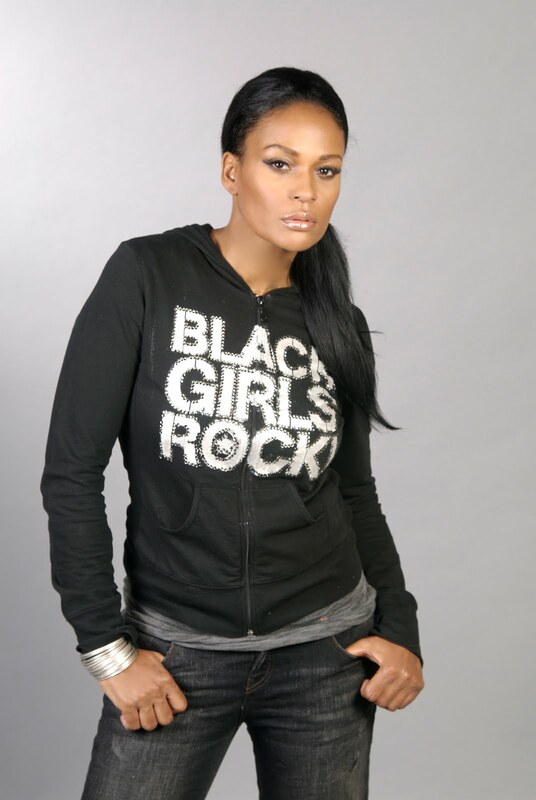 founder, CEO and executive producer, Beverly Bond. BLACK GIRLS ROCK! (BGR!) is a non-profit organization dedicated to empowering women of color across the globe. Rather than using negative life experiences to motivate and inspire, the uplifting movement focuses on elevating positive images and role models to inspire greatness within young girls between the ages of 12-17. Although many of us know of BGR! from their annual award show aired on BET, I was surprised to learn of the intricacies of the brand and of all the other irons Beverly has in the fire. 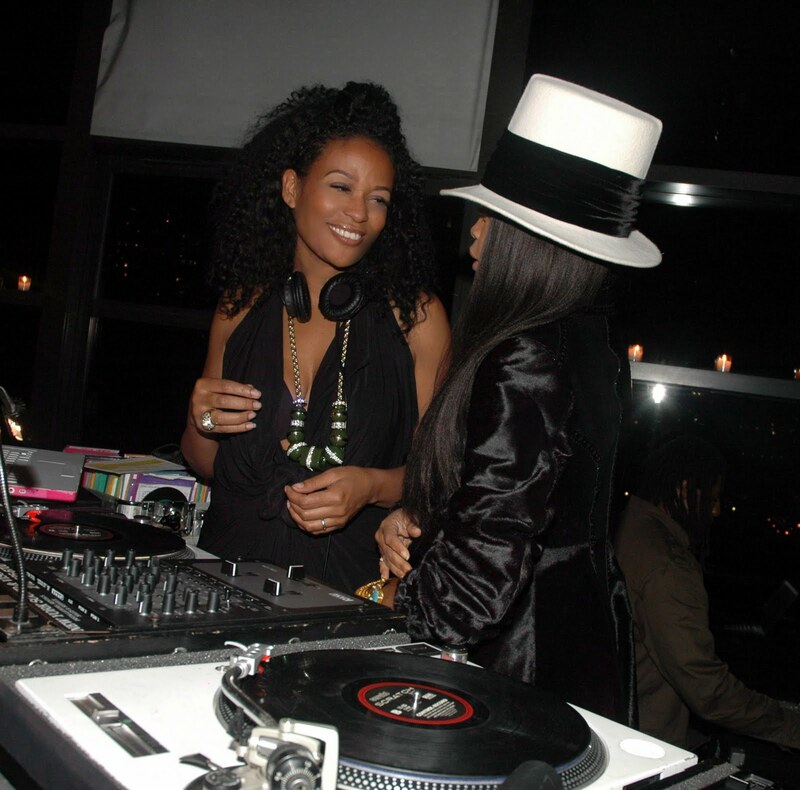 This model, turned DJ, turned mogul is a powerhouse and natural to boot! Enjoy! We’ve been sold so many versions of who we are and we’ve never been told about our natural beauty, especially here. So it’s unfortunate but a lot of us don’t neceassarly embrace all of that about ourselves. Natural hair rocks! 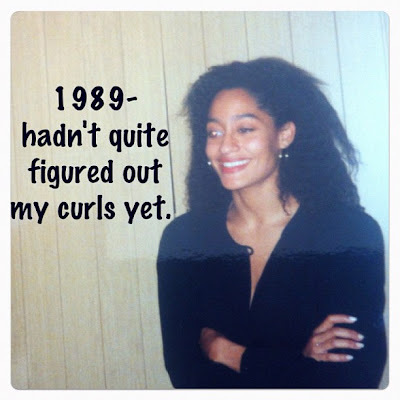 Tracee Ellis Ross on Her Natural Hair Journey! 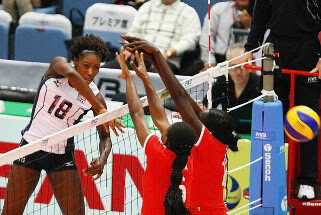 Before there was Gabby, there was Dominique. 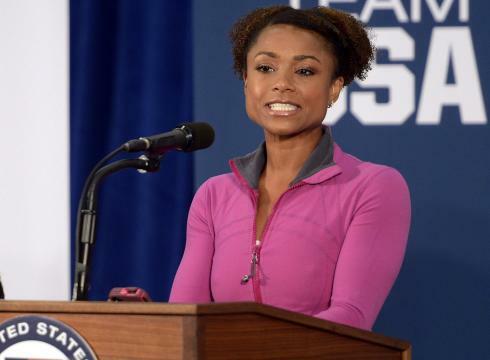 One of the great icons of my generation, the talented and beautiful Dominique Dawes was the first African American woman to win an individual Olympic medal in artistic gymnastics and the first Black person of any nationality or gender to win an Olympic gold medal in gymnastics. I'm honored to bring you her natural hair story. CurlyNikki: Dish on the hair! I'm loving the curls! Dominique: I am finally natural! Finally natural. I never thought in my wildest dreams that I would go natural, mainly because when I was younger, I was always told that my hair was unmanageable... that it was dry, that it was brittle. You know, all the things that those with certain textures of hair are told. I never seemed to be able to get past shoulder length with my relaxed hair, it would always get to my shoulders and start breaking off and I’d have to chop it off and start over. So approximately 2 and half years ago I got a weave to attempt to grow it out. Within that time I started working with a number of different hair stylists that would install partial weaves that left the top of my hair exposed. Never a fan of weaves, I’d always notice people wearing them, and I didn’t want to be that person. Luckily, I found an amazing hair stylist to put in a full weave and during that time, my hair was able to rest. I of course never got my hair relaxed during this time and it grew and grew. Last year my stylist asked, 'have you ever just thought of wearing your natural hair?' And I laughed because I thought she was joking! And she was like, ‘What? Why wouldn’t you wear your natural hair?’ and I said, ‘because it’s dry, it’s brittle, it’s not manageable. I’ve been hearing that since I was a kid so I never imagined going natural.' As she did every two months, she took the weave out and conditioned my hair. But this time, she took me to the mirror and showed me my natural curls and coils. I fell in love with my hair right away. But I hadn't embraced it. I was in the midst of headshots and interviews at the time and it wasn't... 'comfortable' for me. But at some point, I remember I was out of my weave for like 5 days and just before I was due back in to have the weave installed, I called my stylist up and I said, 'you can burn that hair because I’m done with it, I love my hair!' She knew she was losing a boat load of money because I always bought the top quliaty of hair as well as made appointments every 2-2.5 months... but she was so happy for me. I felt liberated and empowered beause I was embracing a part of myself that I never thought I would embrace. I really love my coils and curls... so much that I’m walking around and telling people to go natural! And when they laugh at me and say stuff like, ‘oh my hair is too brittle’, I say, 'that’s what I thought too'. And of course my hair still gets dry, but I really love the texture of it. I will talk to you more after I get back in the States, because you’re the expert, but I’m on a crusade to find the right products and the right styling techniques. 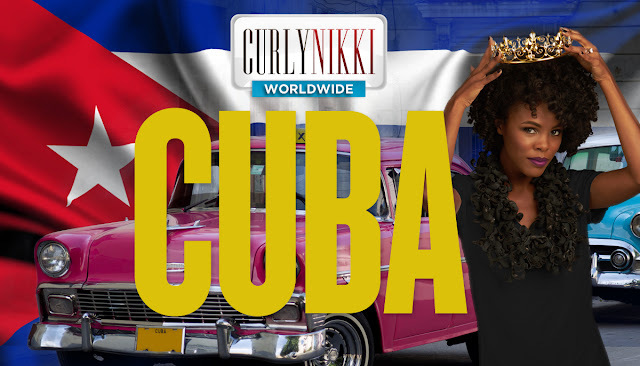 CurlyNikki: I was contacted by CNN to share my opinions about the controversy over Gabby Douglas' hair and I know it's pretty much old and tired news, but I have to ask... would you like to weigh in for the CurlyNikki community? Dominique: My thing is that it’s really disheartening. This young girl makes history, and us in the African American community should be embracing and celebrating what she has done... not just for herself, but for the impact that it’s going to make on our kids, as I did 16 years ago. She told me that I was one of the individuals that helped her recognize and believe that she could not only go to the Olympics, but do what she has done there. She found inspiration from my performances. So I know that thousands of young kids will get inspiration from her performances. It is a little disheartening that some, not all, in the African American community, instead of celebrating her achievements are criticizing something so superficial. As gymnasts, we are not concerned about our hair. If you look back at videos of myself at the Olympics, you'll see I wasn't so concerned with how I looked and if I was, I may have never made it to the Olympic games. My focus wasn't on appearance, it was on achievement. 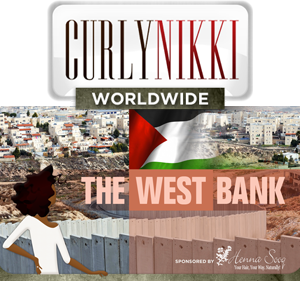 CurlyNikki: As a pioneer in your field, what advice do you have for women that are paving their own way? Dominique: Make sure you’re doing things for the right reason, also, you have to have a passion for what you’re doing. I always tell people to follow your heart, but also to be very selective in the people you choose to get advice from and to surround yourself with, because you really don’t want to have a lot of noise and clutter distracting you from reaching your full potential and making an impact. It’s all about passion, all about people and and it’s all about having a vision of where you want to take your life, both professionally and personally. I think people have to recognize that there’s many facets to your life and I never, as I did as a child, never sacrifice everything for one goal. Make sure you’re happy in all facets of your life, such as your personal endeavors, your goals, your hobbies, your physical and emotional health, the relationships with friends and fam, your spouse, your kids as well as your professional life and spiritual growth. Like I tell people, I never strive to be Super Woman. I don’t try to do everything exceptionally well, I just try to do them to the best of my ability that day. And that’s key for a lot of people that want to be pioneers. Don’t negelect those other facets because at the end of the day, you’re not going to wish you spent more time in the office, you’re not going to wish you made more money, you’re not going to wish you got that contract, you’re really going to wish that you had more of a balanced life with strong meaningful relationships. '...but also to be very selective in the people you choose to get advice from and to surround yourself with, because you really don’t want to have a lot of noise and clutter distracting you from reaching your full potential and making an impact ' <<<<<<< THIS. Reminds me of one of my fav Kanye lyrics- '...any pessimists, I ain't talk to them, plus I didn't have a phone in my apartment'. Lol, y'all know I never miss an opportunity to quote Kanye. But yeah, I couldn't agree with that sentiment more. 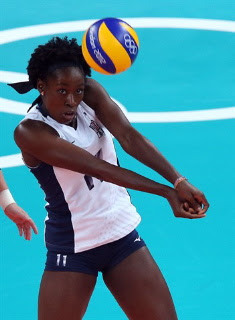 At any rate, Dominique is amazing and we'll be checking in with her when she's back Stateside. In the meantime, show her some support below, she's looking forward to reading your comments. 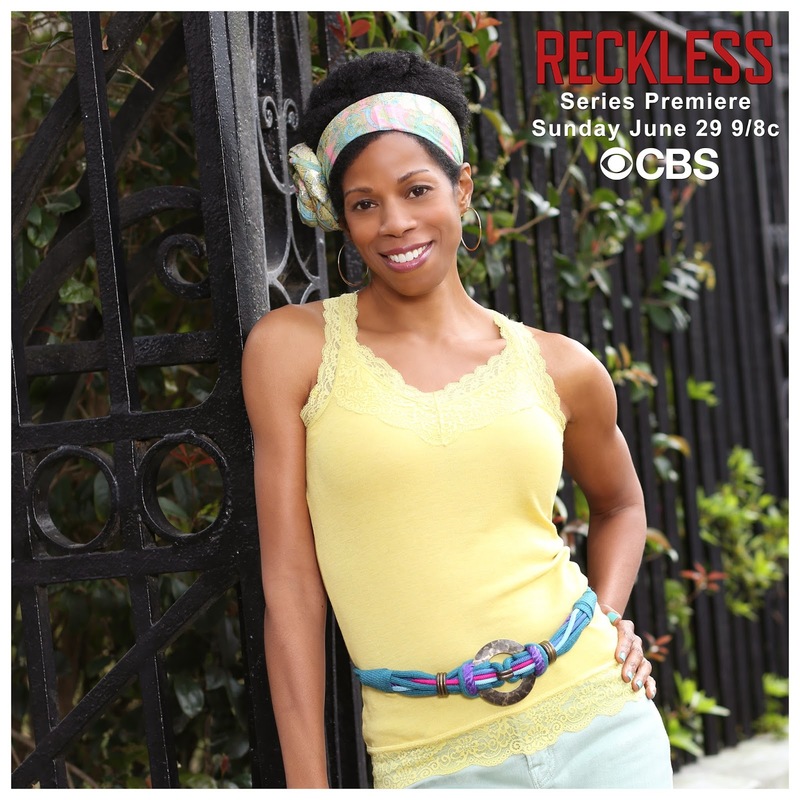 Also, keep up with Dominique on her website, DominiqueDawes.com, and on Twitter!